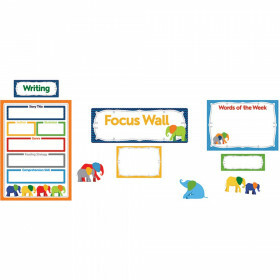 Use this set to enhance a classroom reading goal program! 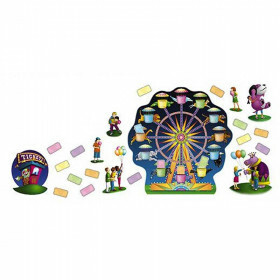 Includes 10 die-cut decorative pieces with motivational phrases, 30 die-cut books that can be personalized with students' names, and 2 large sheets of "The Cat's Hat" stickers (286 stickers total) to use in rewarding students as they reach their goals. Need more stickers? 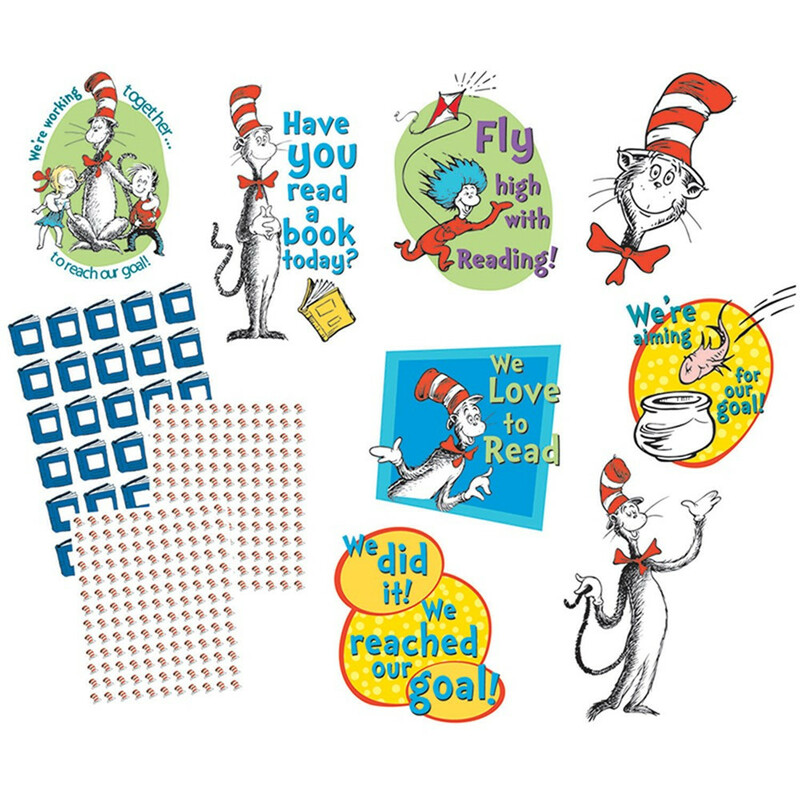 Item #655028 ("The Cat's Hat" Theme Stickers) will restock your supply! ™ & © 2005 Dr. Seuss Enterprises, L.P. All Rights Reserved. Looking for something similar? 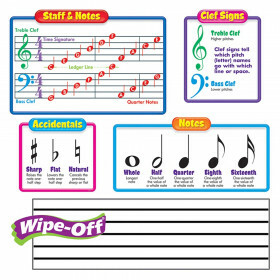 View our Classroom Theme or Bulletin Board Sets sections to find more teacher supplies items similar to Cat In The Hat Reading Goal Kit. This item may also be listed in our teacher supplies store catalog with item IDs EU847638,EU-847618,EU847618,PMGEU847638,PMG847638.